Carroll and Roche Cars - 2018 Subaru Forester 2.0D XC AUTO - 5- Star Safety & 5- Year Warranty - Super Finance & Trade-In Deals - Great Prices now !! 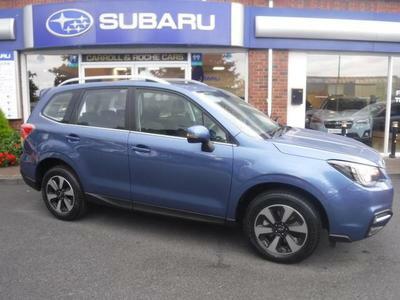 2018 Subaru Forester 2.0D XC AUTO - 5- Star Safety & 5- Year Warranty - Super Finance & Trade-In Deals - Great Prices now ! !